If you’re a cyclist, you’re always looking for that next, epic ride. 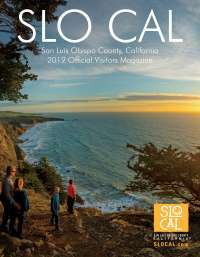 Good thing SLO CAL is home to dozens of unique trails where traditional bikes and mountain bikes are warmly welcomed. Ride the Bob Jones Trail, which runs from Avila Beach to the sea; traverse Paso Robles Wine Country’s diverse wine trails offering up views of vineyards, wildflowers, wildlife, and wineries; or take to the coast, where Highway 1 stretches from Ragged Point, down to Hearst Castle and right by the charming hamlet of Harmony, to the Morro Bay Embarcadero and beyond. Cheers to a road well traveled with a well crafted cocktail at Il Cortile, La Cosecha, Luna Red, or KROBAR.